Social media data service Dataminr has followed up its finance and public sector products with one built specifically for the news industry. Originally announced in partnership with Twitter and CNN earlier this year, Dataminr for News launches today for media companies in North America with an international release planned for early 2015. The product taps into Twitter’s firehose of data in order to scan for new events as they happen in real time. For instance, The New York Times reports that CNN used the service earlier this year to get the jump on a story about Justin Bieber getting arrested. 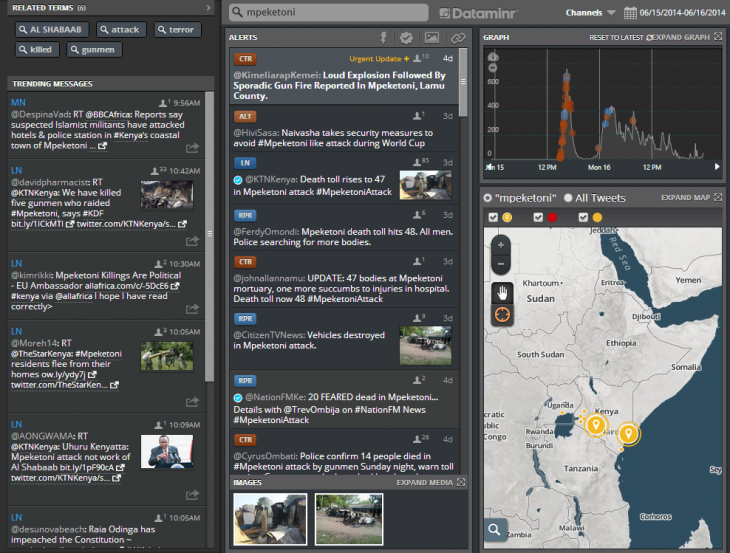 Dataminr for News has integrated with TweetDeck so alerts can show up as their own column within the app. The service is available “in combination with other Twitter product offerings.” Twitter partners will receive a discount.